Kale’s discovery by affluent consumers in the United States is an example of how much high-income societies can learn from the dietary habits of the poor, says Emory anthropologist Peter Little. "Nutritional and health benefits aside, kale’s recent popularity and the premium prices kale-based products command in the United States might seem comical, if not downright ridiculous, to many East Africans. 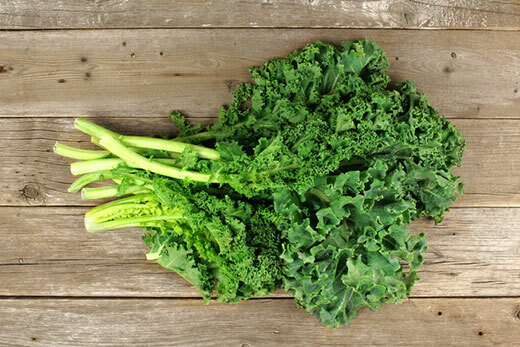 In Kenya and Tanzania, kale is a key staple in highland farming communities, where it is referred to as sukuma wiki, which in Swahili means “to push the week.” (East African kale is slightly different from the varieties that are grown and eaten in the U.S., but still very similar.) Eaten with a thick, maize-based porridge called ugali, kale is what allows many East African families to get through the week, often with little more than a sprinkling of tomato, onion, or, in better-off families, a few pieces of meat mixed in. When an individual is invited to eat with a rural Kenyan family, as I have been on many occasions over the past 30-plus years, it is almost certain that at least one of the dishes will be sukuma wiki. Indeed, the poorer the family is, the more likely kale, along with ugali, will be the main part of the meal." Read the whole article in Sapiens.